Easier to ingest and an excellent Remedy for people who prefer not to smoke, CBD capsules are another way patients may consume marijuana without sacrificing its healing advantages. Cannabis capsules can effectively treat mental health conditions with a steadier dosage than conventional medication. Before we examine how cannabis capsules benefit the mental health and offer pain relief, let’s discuss what cannabis capsules are. 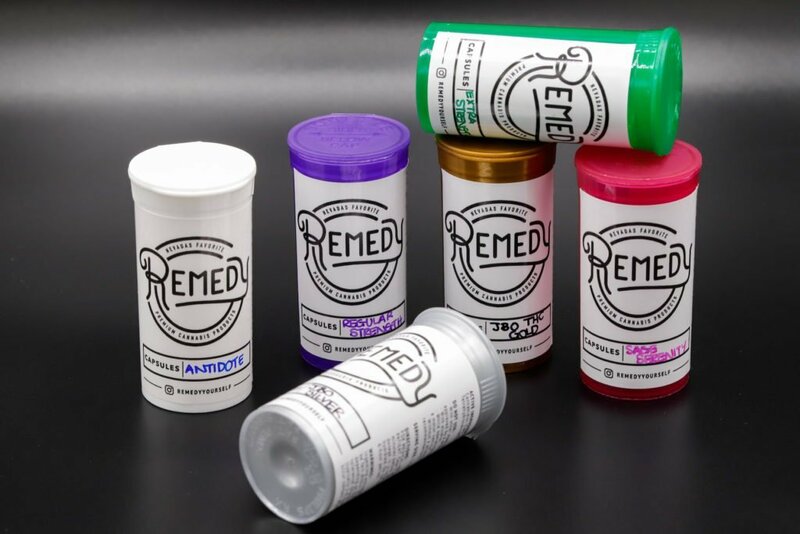 With a plain appearance, the gelatin capsule around the CBD or marijuana may have differentiating colors, depending on the kind of CBD cap. The pills are non-descript ultimately helping you to medicate discreetly and with virtually no scent. Health divides into two subsections: physical and mental health. Physical health issues are a result of injuries or illnesses directly targeting the human body. Mental health issues are often overlooked because they’re more complex and don’t directly result in a visible injury. 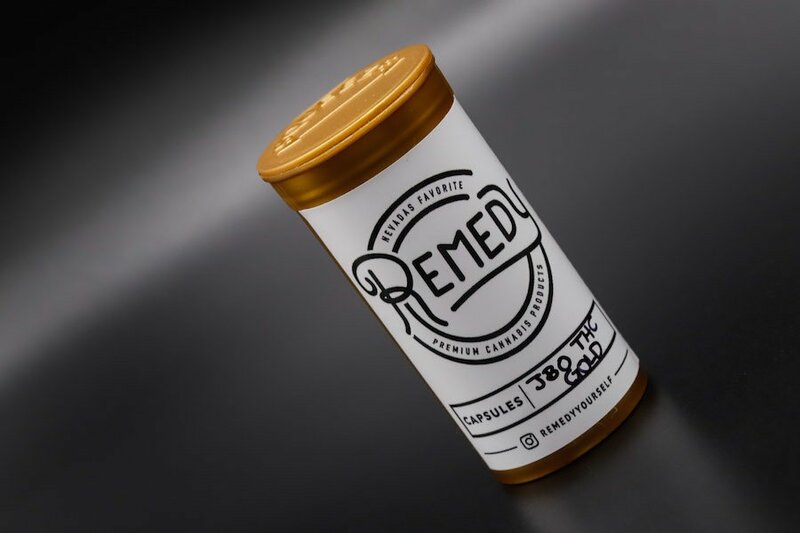 At Remedy, we offer a variety of marijuana pills and CBD capsules. Anxiety disorder is a mental health disorder characterized by feelings of worry severe enough to disrupt one’s daily life. Anxiety is the root of more severe mental health disorders such as depression and post-traumatic stress disorder. The human brain’s amygdala governs anxiety and fear. A 2008 study focusing on cannabis users found THC significantly reduced anxiety and fear when showing subject images of threatening faces. When the subjects were shown images of threatening faces, their amygdalas recognize a visible threat and instinctually fill them with fear. The presence of THC, one of the major components of cannabis, reduced the amygdala’s ability to recognize threats and induce anxiety and fear. As one of the most common mental health issues internationally, depression is not easily ignored, but it may be treatable. When speaking to a professional, ask about your options. Talking to a budtender about what kind of cannabis dosing experience you’d like is another excellent way to ensure you treat your depression properly, finding the right intake method and strength to give you an elevated mood, feelings of euphoria, increased energy, and increased appetite. 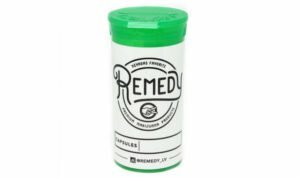 For those who suffer from severe to moderate pain, Remedy offers types of capsules that may help reduce pain and enhance mood. Sage Serenity, for example, may be helpful for women experiencing extremely uncomfortable to painful menstrual cramps. “Jimmy B Oil” is also good for full body pains, migraines, or headaches, as this type of capsule provides a full body relief. Post-traumatic stress disorder (PTSD) is a disorder characterized by learned fear triggered by the anxiety and flashbacks of a troubling experience. Conventional PTSD treatments include strong sedatives and powerful antidepressant medication with a variety of negative side effects. PTSD is learned fear and cannabis reduces the human fear response. PTSD patients have been found to have a deficiency of the “bliss molecule,” anandamide, an essential endocannabinoid. Similarly to traditional treatments, cannabis oil capsules may be taken prior to a therapy session to ease PTSD patients but with the negative side effects. Patients often choose capsules as their Remedy due to its encapsulated presentation. Because of their encasing, there is also little to no flavor. The difference between CBD capsules and THC pills is simple; it’s in the name. Capsules with high CBD content while caps high in THC, like the JBO Extra Strength or Regular Strength marijuana capsules, give the psychoactive results commonly found in flower. Side effects for capsules high in THC include “a deep body sensation” and couch lock. CBD capsule side effects are minimal if non-existant. The Source provides a multitude of cannabis capsules in their dispensary menu. Their capsule menu includes 30 packs for consistent relief or 5 packs of capsules for patients curious about capsule Remedies. At Silver Sage Wellness, their capsules have a steady dosage, so patients know exactly how much CBD and THC are in each pill. CBD capsules provide potent anxiety relief without the psychoactive side effects of THC. CBD capsule with small percentages of THC release dopamine to increase feelings of euphoria and relaxation. Medical marijuana effectively treats and heals both physical and mental health illnesses. Learn more about how cannabis oils can benefit you.